We aren’t the first to say social media for real estate agents matters. You know it matters. But it can be overwhelming to identify best practices for the various social channels that are available to you. And how can you use social media for real estate marketing? We took a look at the top six social channels and put together a cheat sheet for you. Description: Facebook is still the juggernaut of social platforms. Sharing pictures with links boosts your success substantially. The good: The most common age group is 25 to 34, at 29.7% of users. That makes it a sweet spot. Make a strategic decision as to whether you will use a personal page or a business page to market your real estate services. They offer different benefits and features. The bad: Facebook is a noisy neighborhood. Featured posts, silly cat videos and game invitations litter the average person’s feed, meaning it’s harder and harder to be seen in this space. Be prepared to pay for boosted posts to ensure your content is seen by the people you want to have see it. How often? : Put your prime real estate (pun intended) on Facebook while giving some love to your other homes on faster moving networks like Twitter or Pinterest. While Pinterest and Instagram are image-focused, Facebook provides a nice mix of visuals and copy, so you can really write out what makes the house special while also giving enough space to use photos. Description: Twitter is a rolling conversation. It’s a fast-paced network that is not designed for the overly verbose. Each tweet is limited to 140 characters or less. The good: The real gold of Twitter is its search. You can use it to tap into conversations about your hometown, neighborhood or city and join those streams with relevant, informative responses. The bad: Many agents complain about a lack of engagement via Tweets. But Twitter is a high effort platform. For people who use it, they really use it. It’s about being where your prospects can find you. How often? : The 80/20 rule applies here. If you post 10 times a day, only 2 of those should be about you or your listings. The other 8 should be retweets of valuable content or sharing the Twitter love for those you follow. Description: On Pinterest you can upload, save, sort, and manage images—known as pins—and other media content (e.g., videos and images) through collections known as pinboards. The good: You create your own account, and then create unique “boards” that focus on various topics, such as “Gorgeous Gardens” or “Chef’s Kitchens.” You can create a Pinterest board for a single property that, in addition, to property photos, highlights major benefits of the area. The bad: Pinterest can be a black hole of time. Until you get used to it, or partner with someone who totally gets Pinterest, it can take a while to get used to. Also be aware of copyrights for images. How often? : There isn’t really a limit to how much you can use Pinterest. Create as many boards as fits your schedule! Description: Google’s social networking platform pulls from your gmail ID and lets you create circles based on levels of connection, ie friends, acquaintances, neighbors etc. The good: The best part of Google+ is that it’s owned by… Google. Which means content you share on that network will rank very well in organic search. Google+ also offers Hangouts, which are easy to run video conferences. These are very handy when you can’t meet a client in person! The bad: While 665 million people are active on Facebook, 350 million are logging in to Google+. The demographics are slightly different, skewing older and more male – not necessarily a bad thing. That actually means you won’t have as much overlap with Facebook in your sharing. How often? : Google+ has such good SEO benefit, it’s a great place to post at least daily. But keep in mind that 80/20 rule! Description: Here is where folks check out your resume. 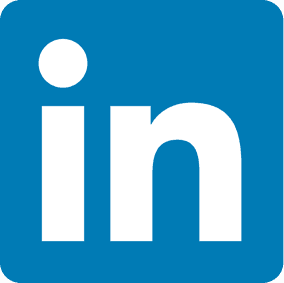 LinkedIn is a great spot to craft a detailed story about yourself, your real estate experience and your business style. The good: LinkedIn offers an easy to use “endorsement” system right on its landing page, allowing your network to endorse your specific skills quickly. You can also request personal referrals via the network, and choose whether or not to post them. The bad: LinkedIn isn’t as dynamic a channel as Facebook or Twitter. You can share blog posts and automate a feed from both of those, but responses aren’t as high. It is, however, considered an excellent source for professional networking. How often? : Post too often on LinkedIn, and folks will tune you out. Strike a good cadence with a couple posts per week at the max. Be sure to be a good listener, too. Description: With an impressive twenty-three percent increase in active users over a six month period, it’s easy to see why the real estate industry is taking notice of this picture sharing social platform. The good: Beyond posting and tagging images of your latest listings, you can also geo-tag your images, so they show up on the Instagram Photo Map. Instagram also lets you include short video clips. The bad: Make sure to pay attention to anyone who comments on your posted photos. These are the only metrics you will get to see what kind of traction your shared images are getting. How often? 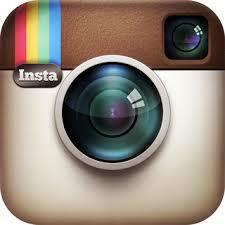 : Major brands post an average of 1.5 times per day to Instagram. They say there is no drop-off in engagement for posting more, provided you can keep up the rate of posting. But again, metrics aren’t exact. The overall rule for all these channels is this: it’s not about sharing information. It’s about engagement. Imagine a digital coffee shop in which you can flit from table to table, joining chats here and there. PRO AGENT TIP: Don’t throw your thoughts over the transom. Cultivate a conversation. So what about the ugly part of social media? Well, about now you might be thinking to yourself: how am I going to do all this social media work and be an active real estate agent? That’s the ugly: time management. Social media can easily become a black hole that stops paying off if it becomes all consuming. There are third party social media management apps that will help streamline your posting and even help you follow up and see how certain posts performed. Check out our round up of these helpful tools! And you can get started creating social proof with digital ads that follow home buyers and sellers on the web sites they visit every day. 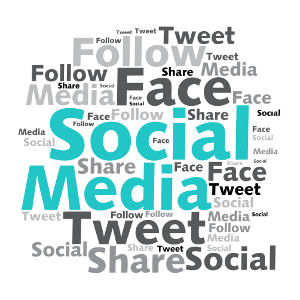 Social media is a best way for real estate to grow their business as they are able to instantly connect with existing clients, potential clients and easily promote their business is to build their reputation. Exactly, Evelyn! 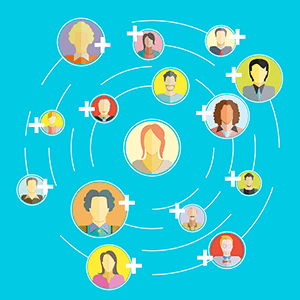 Social media is one of the easiest ways for agents to connect with their clients and find new ones. This is great! I’m in the commercial real estate market in Minnesota. Do you offer any marketing packages or tools geared towards commercial real estate? With social media on trend nowadays, I agree it is seriously hard not to compare yourself to others. I really enjoyed reading this thanks for your tips.. I am an agent but sometimes I get screwed. Glad to hear you enjoyed it and can take away from our tips, Anna. Interesting content for your readers and engagement are the two biggest things agents should stay on top of! Social media is continuously growing up to this moment. And it stand to be an instant access to customers. Hence, it should be done correctly. I am with Century 21. Can you tell me more about your services pls. Great job with this article guys! I love how you have broken out each of the social media sites and shown how they can be different from a strategic standpoint. Glad you enjoyed it Bill. That means a lot coming from a blog/social media expert like yourself! Some fantastic tips on how to put together an excellent strategy for social media if you are an estate agent or someone looking to get into real estate. Thank you for sharing the good, the bad and the ugly tips. I have noticed that a lot of people use social media for work purposes and it actually isn’t that bad. I think real estate agents are okay in using them because it can help show a home to someone that might help another person out down the road. You need to post the listings everywhere and doing it on social media is a great place. Agreed, Charles. Perhaps the 80/20 rule is a good one to follow. If you fill your own social channels with listings, your sphere will tune you out. But I like your point about helping another person out down the road. Thanks for the comment! I’m surprised to see that you have put Google+ on this of things that real estate agents should be using when it comes to social media. My daughter is a realtor and she doesn’t use that platform, because she says no one uses it. If it has good SEO benefit, then I definitely think that it would be worth it. However, what exactly is the 80/20 rule that you are referring to above? Hi Faylinn, it’s interesting about Google+. It has deteriorated since when this post was published, but it’s still around and still owned by Google… that being said, the 80/20 rule is about what kind of content to post. Only 20% of the content you share should be about YOU or your brand. The other 80% of what you share should be about anything else: your local area, music, restaurants, house decor, lawn care… anything but you. Hope that helps! Great points made, interesting views but dont forget these are just one persons opinions. Socila media has become a must have strategy for any type of Business these days. The potential audience you can reach is second to none and the advertising benefits to Real Estate Companies far out weighs any negatives. I would say push your brand as best you can on all platforms whether it be instant messaging or blog type platforms. Just remember that there are pros and cons for everything but weigh up the the impact on the Business before you take the leap. It does seem like a good idea to find a real estate agent that uses social media. I liked that you pointed out that Facebook house ads general reaches people the ages of between 24 to 35. That does seem like a good thing to know if your house is in a young person’s neighborhood.